Another benefit of the Teupen Leo series of compact track man-lifts is their ability to run on both gas/diesel or electric for indoor use. 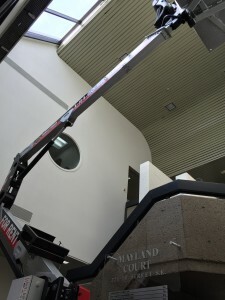 This particular lifting project required set up in the lobby of the building – to change out the fire detection device and 4 light fixtures (located overtop of the spiral staircase in the middle of the lobby). 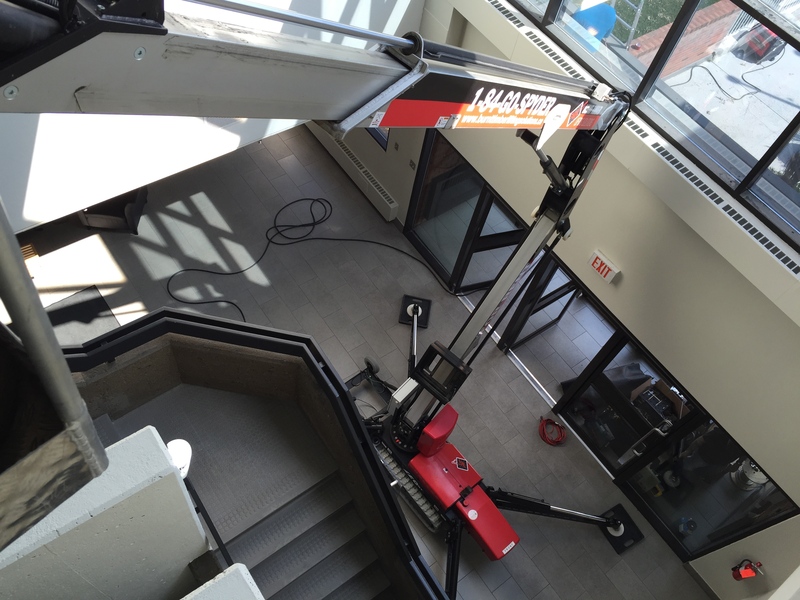 The Teupen TL35A, with its awesome horizontal reach, was totally up to the task! The only alternative to get this job done would have been scaffolding – which would have been far more costly, time-consuming and disruptive to the building tenants. With the man-basket removed, and running on 110V power, we were able to drive it through the front door and set it up. 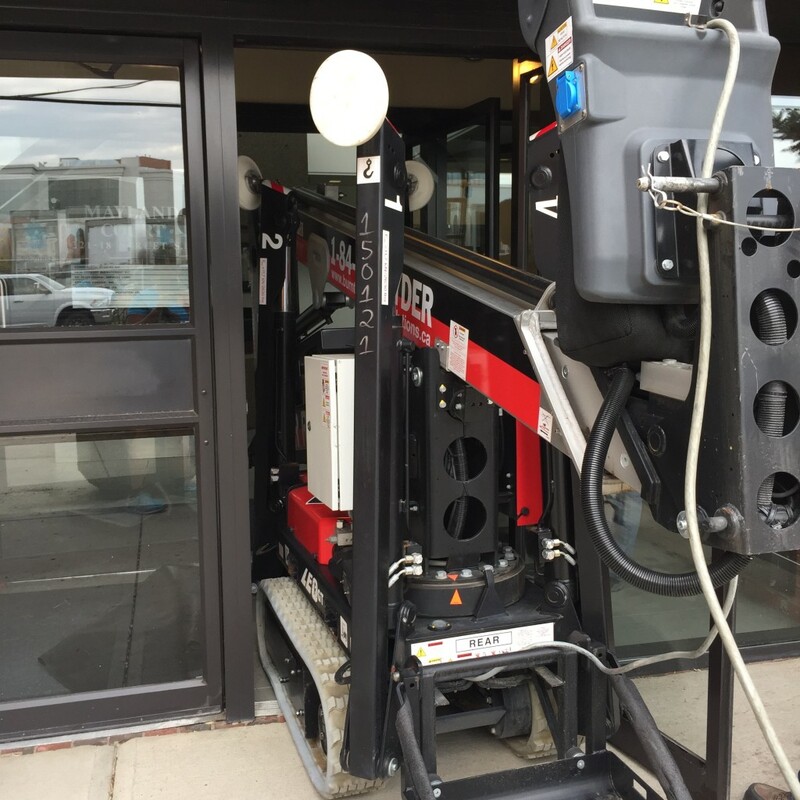 Check out how easily the Teupen TL35A fits through the office’s front doorway. The electricians completed both tasks in under 2 hours – and all without leaving the safety of the basket.